What’s new here? We aggregated venture deals and capital invested across more than 300 metropolitan areas that span 60 countries, tabulating levels of activity and changes over time, beginning with the period before the financial crisis (2005-07), the period just after (2010-12), and ending with the most recent period (2015-17). We also break down activity by stages: Pre-VC (angel + seed), Early-Stage VC, Later-Stage VC, and something we call Mega Deals (those above $500M). To our knowledge, our work on the distribution and dynamics of global venture capital activity at the level of metropolitan areas on such a scale is the first of its kind. We have also produced a website, which tells the story of our findings and allows users to interact with the rich data set we constructed (both the print report and the site were beautifully designed by our friends at LGND). Richard and I have an OpEd in The Wall Street Journal, which is online today and will be in the print edition tomorrow (The Saturday Essay). It goes a bit further in describing the implications of our findings, and takes a particular tack on declining American competitiveness. 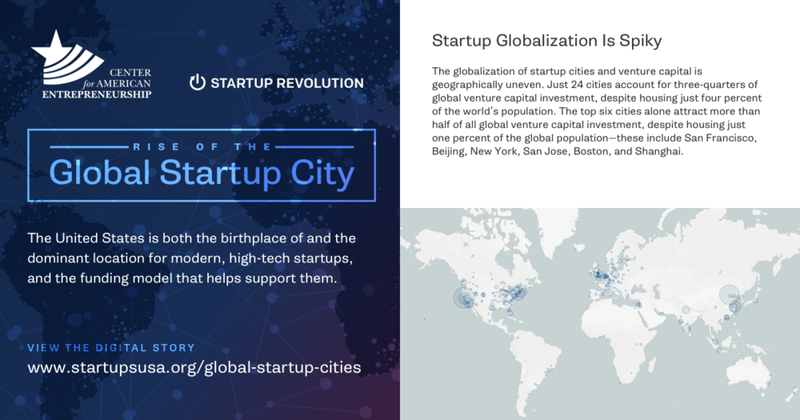 Overall, we document a significant expansion (massive growth), urbanization (driven by cities), globalization (driven by cities outside the United States), and concentration (driven by a relatively small number of global cities) of venture capital and startup activity in recent years. 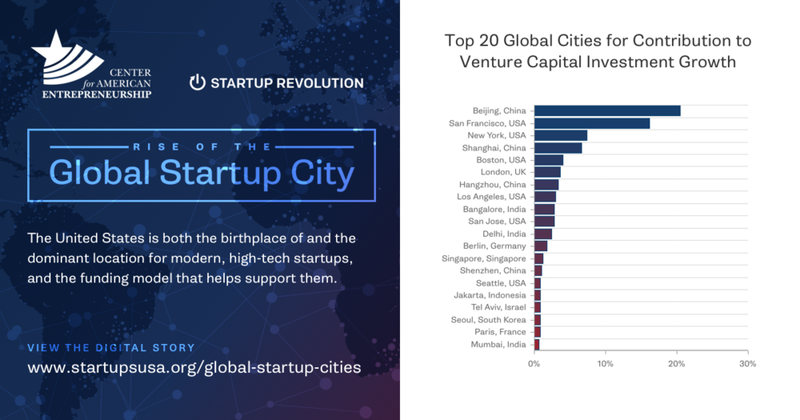 America’s long-held singular dominance of startup and venture capital activity is being challenged by the rapid ascent of cities in Asia, Europe, and elsewhere. While the United States remains the clear global leader, the rest of the world is gaining ground at an accelerating rate. 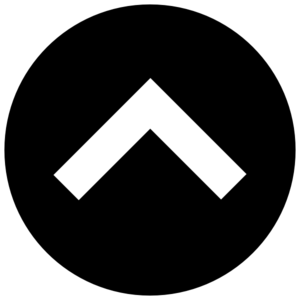 I encourage all of you to spend time with the assets we produced, as there is a wealth of information and lots of nuance around global venture capital and startup activity patterns. Plus, as I mentioned, we have a lot of cool data tools for your to play around with. However, here, I’ll provide a brief visual guide of our work. Newer PostCan the U.S. Keep Its High-Tech Edge?